If you are considering changing your trading entity (ie. 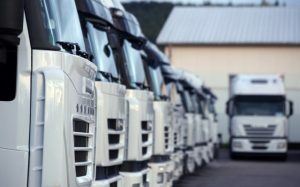 From sole trader to a partnership, or from sole trader or partnership to a limited company) it is absolutely vital that you are aware of the implications this will have on your operator’s licence, as it is extremely commonplace for costly errors to be made. Many Public Inquiry hearings before the Traffic Commissioner result from this issue. To avoid unlawful operation, an Operator’s Licence in the new proposed trading entity MUST be obtained BEFORE the change in entity takes place. You are required to notify the Traffic Commissioner in writing regarding any changes that may affect your Operator’s Licence. We have the skills and knowledge required to offer clients assistance with new applications as well as offering consultancy & admin services. Our team will inform you of the variations and provide support when notifying the Office of the Traffic Commissioner. It is wise to seek advice from trained professionals such as ourselves since we offer help to those applying for or amending their current licence. There are many courses to choose from that relate to Operator Licencing including Operator’s Licence Awareness Course (OLAC). To find out more, get in touch with TAC today!